Pho is probably my favourite place to eat at in the Westgate shopping centre. Yes it’s a chain but the food is fresh, full of flavour, and importantly for someone who eats out as much as me, the menu is fairly kind to those of us on a budget. Each time I’ve eaten there the food has been brilliant, so I was very happy that the team reached out to me and invited me and three friends to have a sneak peak of their fantastic vegan menu before it launches. You can pre-book your table now for a two or three course feast from November 26th – December 24th, complete with Christmas crackers (I’m hoping to use my powers of persuasion to encourage my work to go with Pho this year)! I was pleased to see that some of my favourite starters were available to choose from on the Christmas menu. The four of us decided to order one of each plate and share them all, and there’s a real mix here depending on what you fancy. 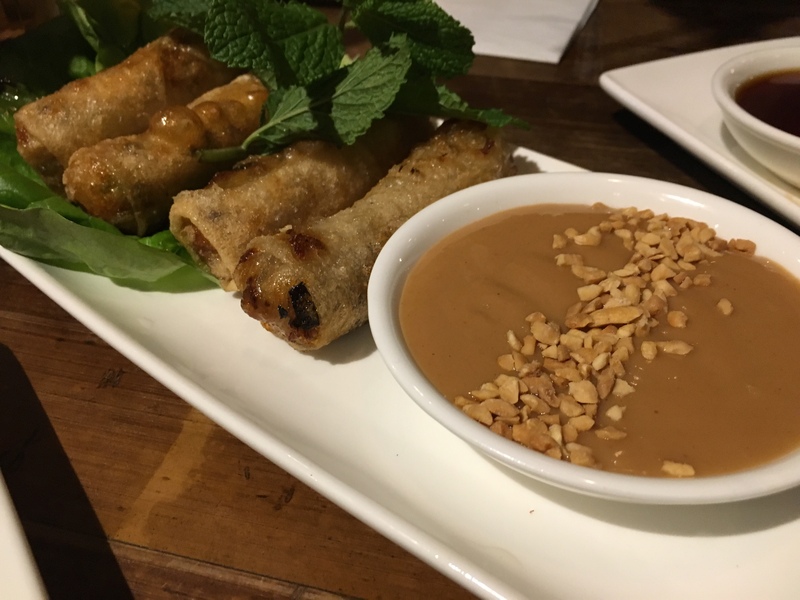 The crispy spring rolls will probably always be my favourite, generously sized fried parcels of goodness served with a creamy peanut dip. 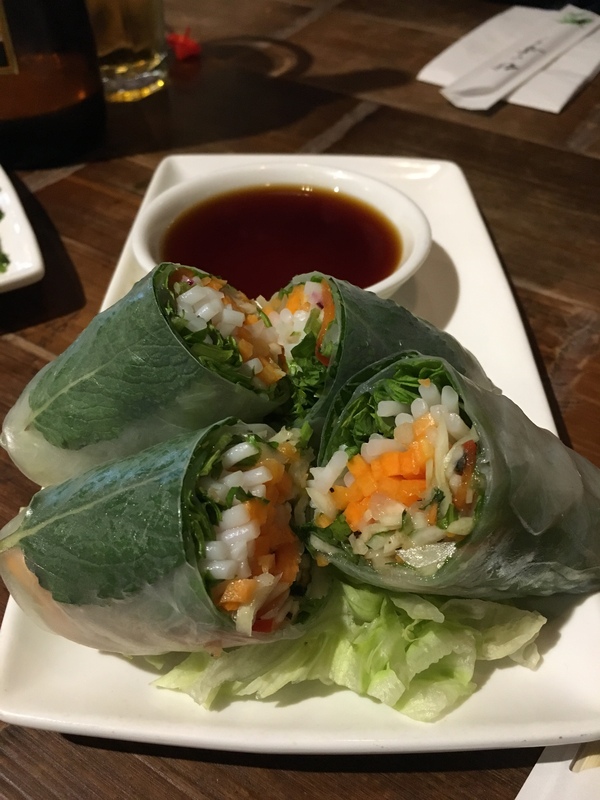 Probably a slightly healthier alternative would be the fresh summer rolls, wrapped so neatly and full of crunchy fresh veggies, they look very insta-worthy! 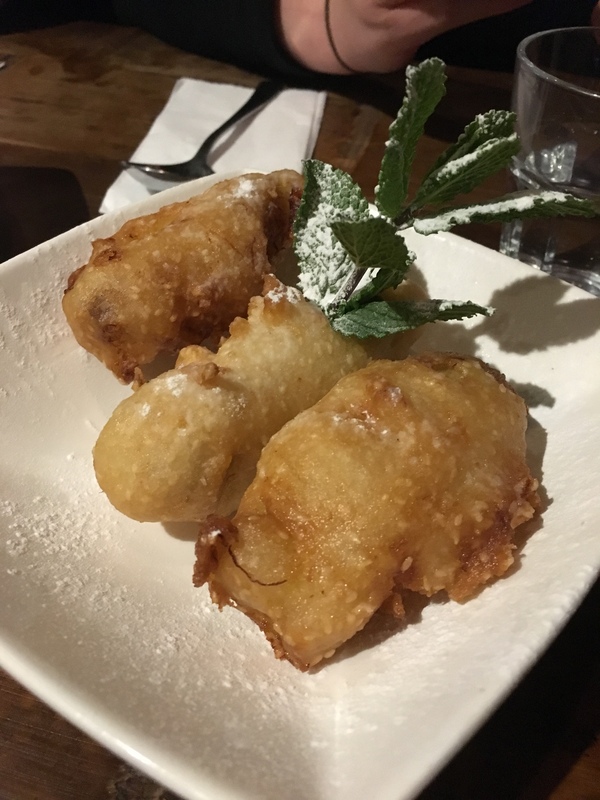 They are a little chewy at the end where the pastry is wrapped over but overall very enjoyable and served with a soy ginger dip which adds so much extra flavour. The garlicky morning glory is also one of my favourite things on the menu. 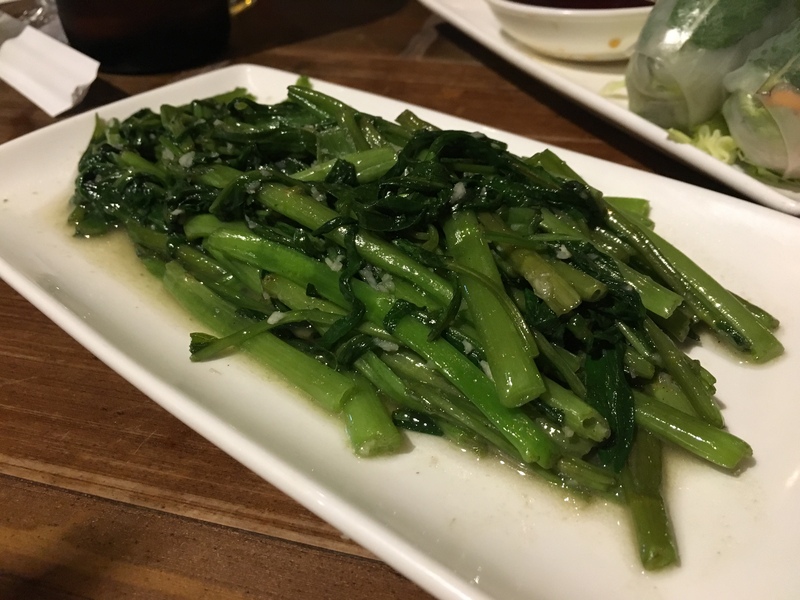 It seems a bit of an odd choice as a starter – I notice you can also have some as a side which might be more appropriate – as it is literally just a plate of greens but my goodness it is tasty. I really love garlic and you will probably be tasting this the next day. It’s a little salty (not too much so) and, as with everything, is cooked just right so it’s not too soggy. Our last starter was the lotus stem salad. It’s a much lighter, fresher starter, and might be one to choose if you’re wanting to pace yourself for the rest of your Christmas meal. I’m pretty sure I’ve only ever eaten lotus stem at Pho before and I can’t quite compare it to anything else, but it adds a real kick to this salad, and is definitely much better than the average small plate of greenery you’d get at a pub or somewhere similar if trying to go for that healthy option. Once our plates were cleared it wasn’t long until our mains come out. The service at Pho has always been great and very attentive, including when I’ve visited as a paying customer. We felt a little sheepish as they struggled to fit all of our food on the table. There are so many different things to choose from! 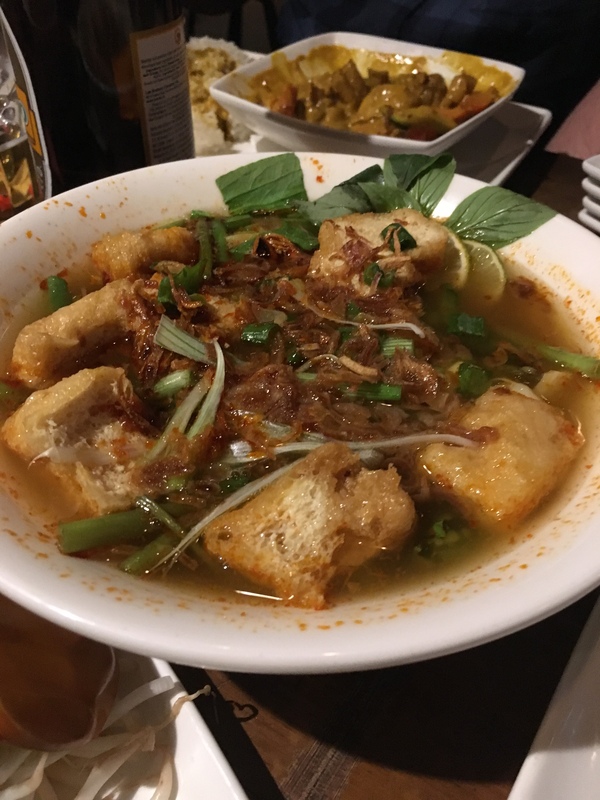 You could go for the traditional Pho (noodle soup), spicy soups, Cơm Tấm rice dishes, Bún (vermicelli noodles) or Phở Xào (wok fried noodles) – and a variety of each of these was on offer. Again we ordered something from each of the sections, apart from the ‘hot and spicy soups’ as we already had too much food. 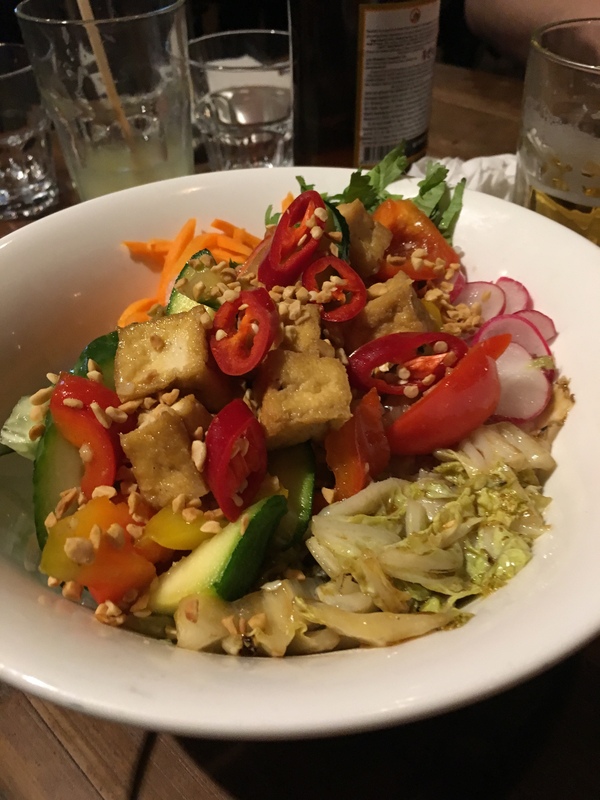 We’ve tried Pho’s tofu curry before, but it came a little differently to the last time we ordered it – if possible it was improved. 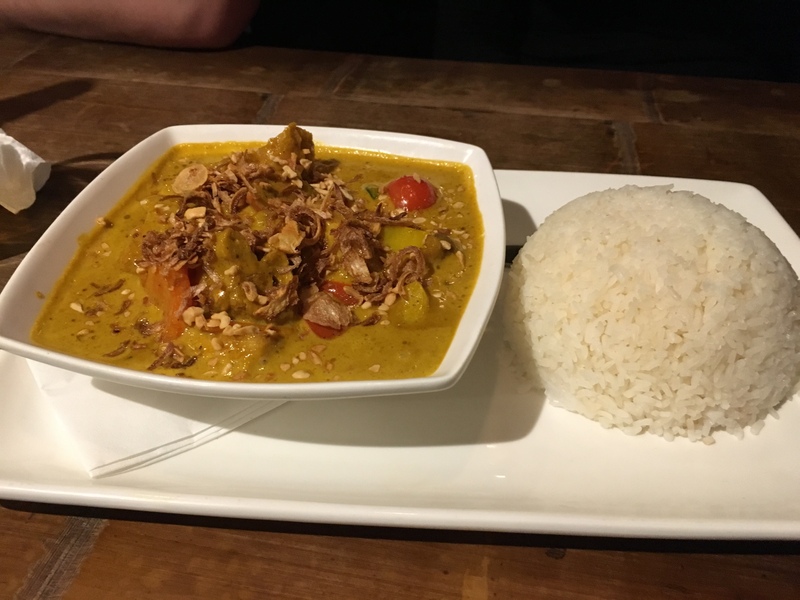 The portion size was great, with the creamy curry served in a bowl and a neat portion of sticky rice on the side. It’s the heaviest dish on offer with that rice mixed with the coconutty sauce, but it’s full of veggies too, the tofu accompanied by tomato, courgette, pepper, mushrooms and carrot. It’s not spicy at all so a nice, comforting crowd-pleaser. The next of the rice dishes, Cơm tấm đặc biệt, is a deep bowl of rice, again topped with lots of veggies and puffed tofu. The chinese leaf, radish, cucumber and pickles were all super fresh and crunchy which meant it didn’t feel too heavy, and you could taste all the different elements. It was quite salty but still tasted like it could’ve had a bit more soy or something for the flavour. The tofu had absorbed a lot though so it wasn’t bland. The last broken rice dish we tried was the Cơm tấm rang, a wok fried rice dish. 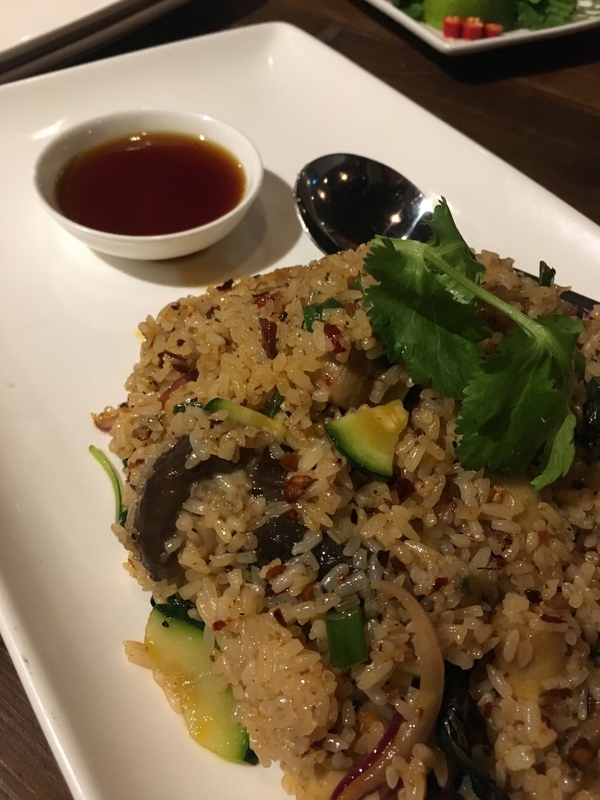 It really reminded me of a vegan version of the ‘special fried rice’ dishes you would get at a Chinese, except with mushrooms instead of various meats. This plate was the one we got least excited about on tasting it, and I felt like compared to all the other food packed with flavour it was a bit of a let down. It did have a spicy heat to it but it was pretty bland compared to everything else, and despite the big chunks of mushroom it didn’t really feel like it was a main course on its own. On to the noodle dishes and what is probably my staple main course order at Pho, the work fried noodles with tofu and mushrooms. That puffed tofu absorbed all of the beautiful flavour from the powerful gingery and soy sauce, and the noodles were tossed with plenty of crunchy veggies including beansprouts and mangetout. The mushrooms weren’t overcooked and there was a generous handful of chopped peanuts topping off the plate. I’ve ordered this particular dish via Deliveroo as well as when dining in previously, and I’ve always enjoyed it. We’d also ordered a couple of different bowls of Pho. The Phở nấm rơm is filled with three different types of mushroom: enoki, shiitake, and button. It was pretty tasty, the vegetable broth being surprisingly flavourful even without any of the herbs mixed in as I would usually do (my sister being a bit fussier when it comes to what greenery she’ll eat). There was a generous handful of spring onions in the broth which probably helped with that. The noodles were nicely cooked and overall it was an enjoyable warming bowl of soup. 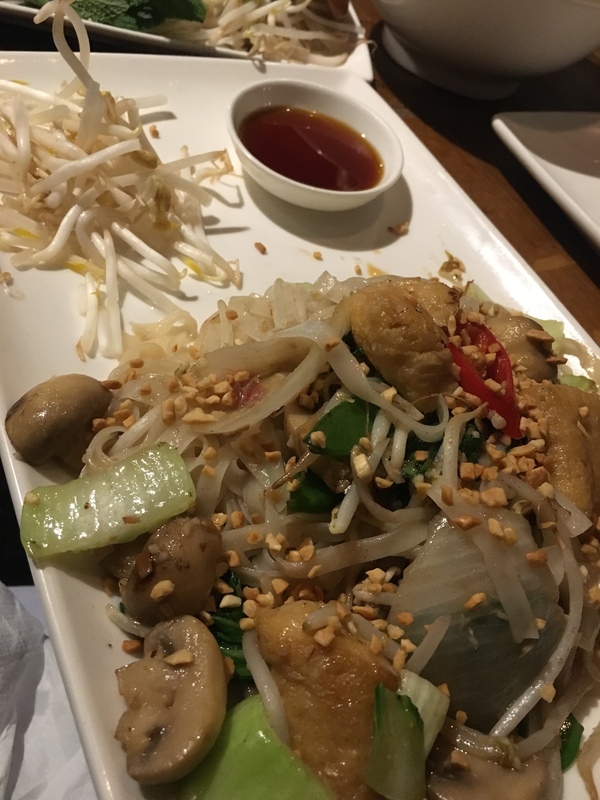 Obviously the caveat with this dish is only order it if you really, really like mushrooms, because there are a lot of them! The other Pho we tried was the ‘Spicy Green’, filled with tofu and green veggies. I think this will come down to personal preference but sadly none of us could really get on with it. It was a bit too acidic, had a hint of sweetness which tasted a bit off, and we felt the flavour balance wasn’t quite right. The tofu was still very good though and as with all the food we were served, everything floating in the broth was cooked just right. You can imagine that by the time we’d cleared our mains we were getting very full, but decided to ask for some of it to be packed up for leftovers and order a couple of desserts between us. That’s right, Pho have two vegan dessert options on their Christmas menu, a grand total of two more than you’ll find on many other restaurants’! Granted, one of the options is sorbet, but honestly after eating so many different flavours I genuinely felt like it’d be a nice palette cleanser. I was eyeing up the strawberry and basil, a food combination which I discovered in cupcake form and absolutely love. Sadly though they didn’t have any in stock yet (I believe it’s a special flavour for Christmas) so we went for the slightly more familiar mango. 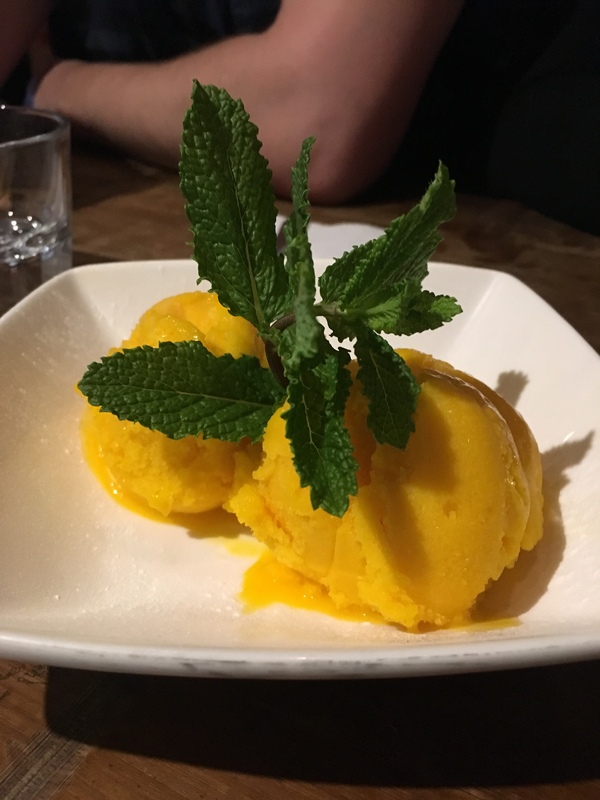 I think it’s safe to say as vegans we’ve all eaten our fair share of mango sorbet, but I did really enjoy it. No ice crystals in sight, super creamy, and tasted delicious – strong and not remotely watery. Our other dessert was the banana fritter, which itself would come with a scoop of sorbet on the side. I think this makes for a perfectly balanced dessert. Despite being deep fried, the batter wasn’t too greasy, and the banana had retained some of its texture rather than turning to a liquidy mush. A very indulgent and tasty end to the meal. 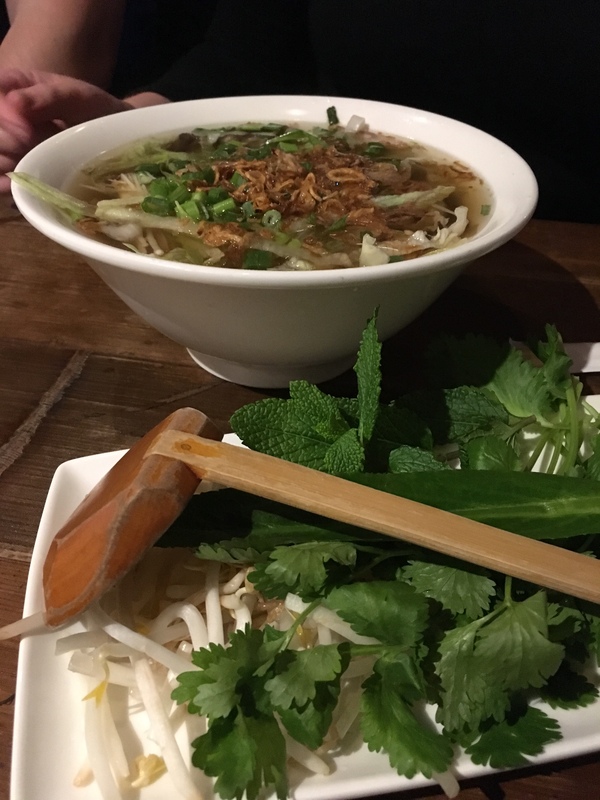 A meal at Pho is definitely different from the traditional Christmas dinner you’ll be tucking into on the 25th, but when you know you’ll be eating leftovers of that same meal for a week afterwards, I don’t think it’s a bad thing to have some variety in the lead up to the big day! 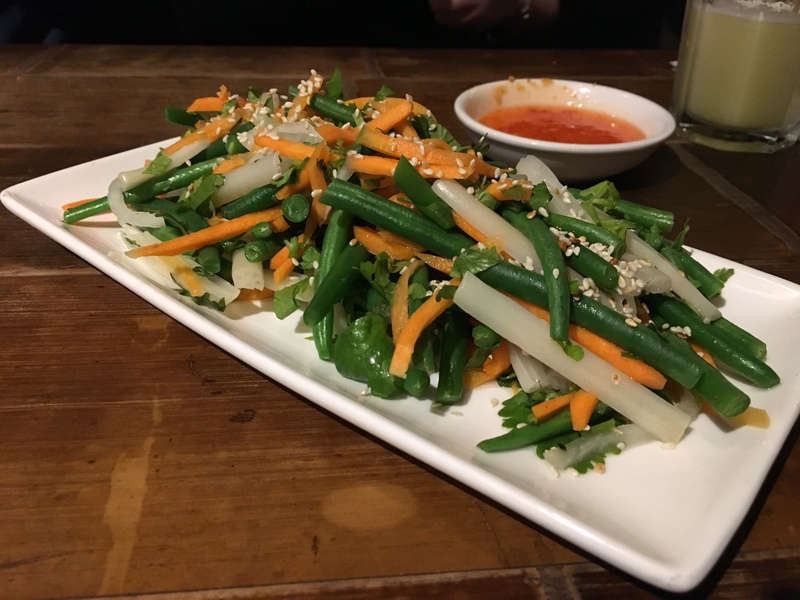 You can see some of my Christmas meal reviews from last year and I’m sure your own experience too will tell you that the vegan option on many menus is mediocre at best (or, at worst, down right awful – ahem *avoid the Red Lion*). As well as that, Pho’s 3 courses for £18.50 is a relative steal compared to a lot of places, ramping their prices up for very average mass produced food. 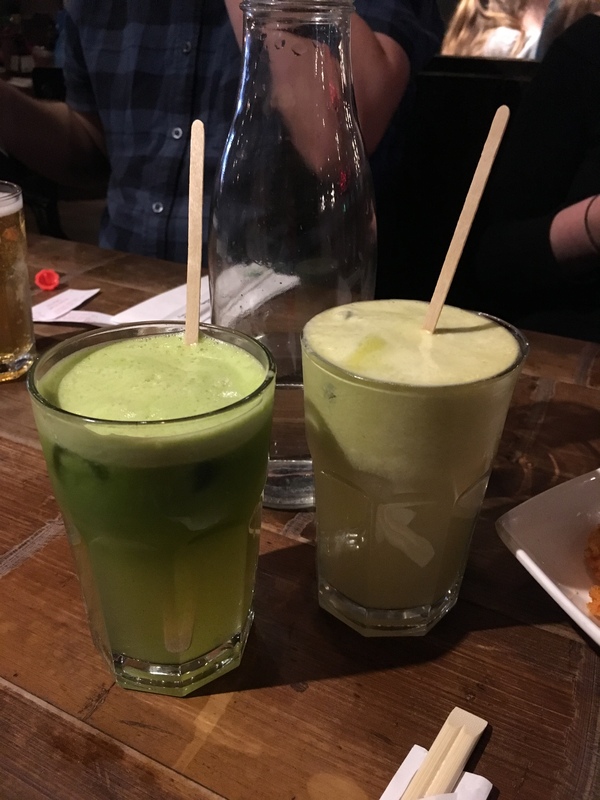 Organised Christmas ‘do or not, I definitely enjoyed checking out Pho this festive period.